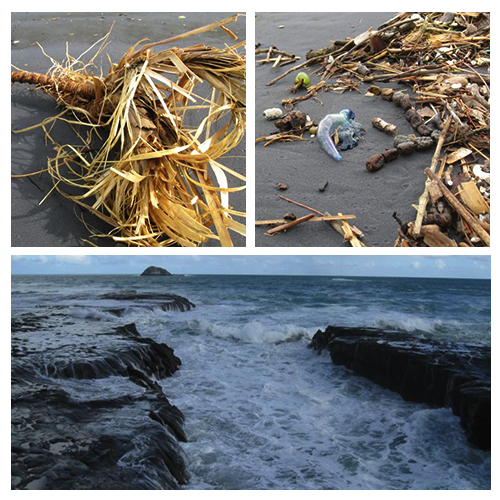 I collected my daughter early, and then we headed to the West of Auckland. 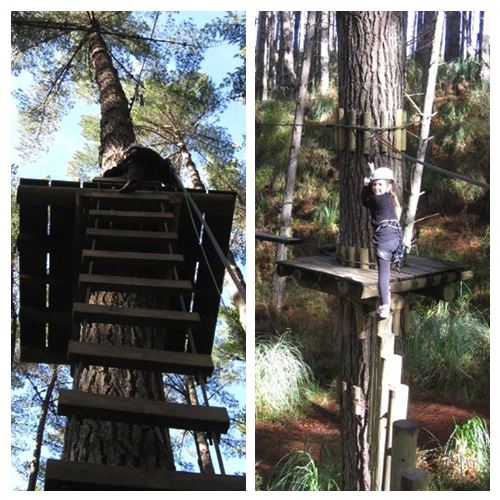 Our ultimate destination being Tree Adventures, a wonderland of trees and climbing and challenges. Miss 7 chose to do this. I was quite pleased as it is a seriously fun thing to do. We arrived at our pre-booked time and had our safety briefing. The staff there are really good at what they do and are obviously a little sensitive about the well-being of their clients these days. This was my daughters second time visiting the park. She has come so far in terms of confidence. It’s an absolute joy to see. We navigated our way through the first four courses. She now needs to grow another 5cm before we can go back for higher and more challenging activities. This is entirely up to her. 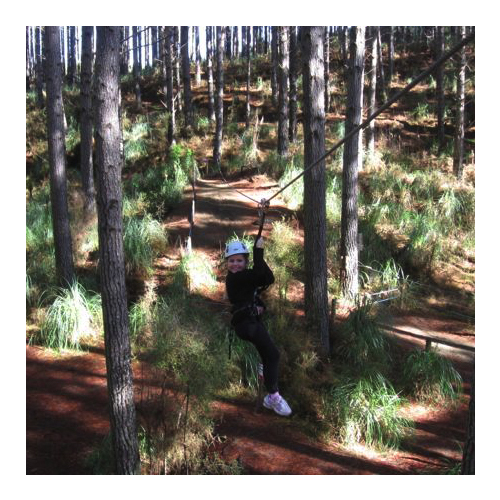 Of course, the best thing about the end of each course is the glorious Flying Fox. A definite highlight. 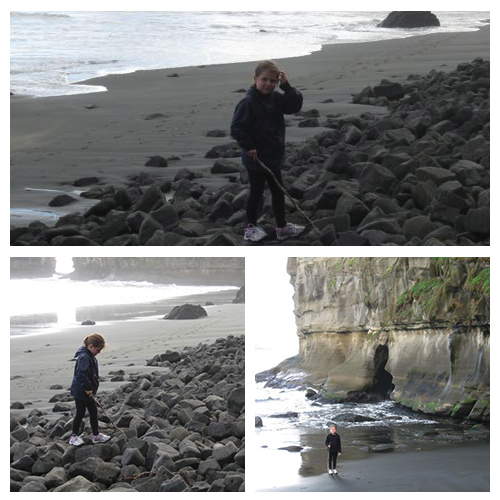 After Tree Adventures, I decided to take her to Muriwai Beach on Auckland’s West Coast. Of general public interest is the Gannet colony, but she was more fascinated with black sand, jellyfish, little curvy shells and pumice. It was a great time of connection and joyous discovery. I loved being a kid again. I hope I never lose the ability to see the world through the eyes of someone seeing things for the first time. It’s so important! So, I’m happy. We had a wonderful day. A time of closeness and fun.